The Legendary Memphis Belle Makes Its Final Landing at the Air Force Museum - Ohio. Find It Here. 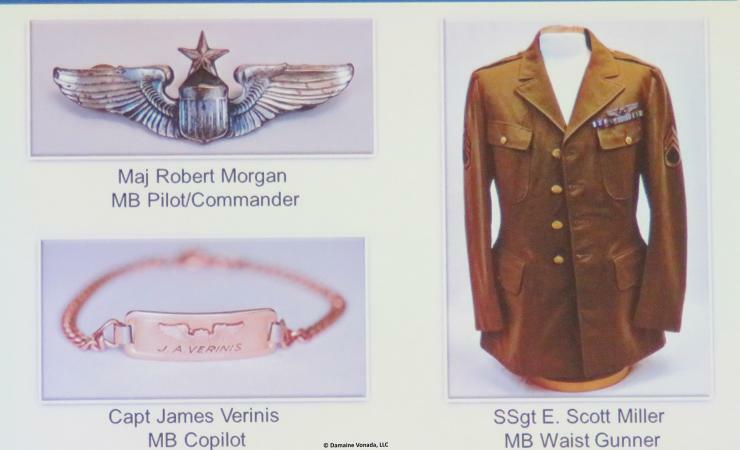 The National Museum of the United States Air Force garnered international headlines last week, when it debuted the Memphis Belle. One of most famous planes to survive World War II, the B-17-F “Flying Fortress” helped cripple Hitler’s war machine and defied the odds by surviving six months of high-risk bombing in the perilous skies over occupied Europe. Memphis Belle was the first heavy bomber to return to the United States after completing the required 25 missions of air combat, and like the USS Arizona at Pearl Harbor or the American flag raised on Iwo Jima, the plane became a symbol of service, sacrifice, and dedication to duty. Since Memphis Belle’s last bombing run against Nazi Germany was May 17, 1943, the Air Force Museum chose the 75th anniversary of that momentous mission – May 17, 2018 – to unveil the fully restored warbird. 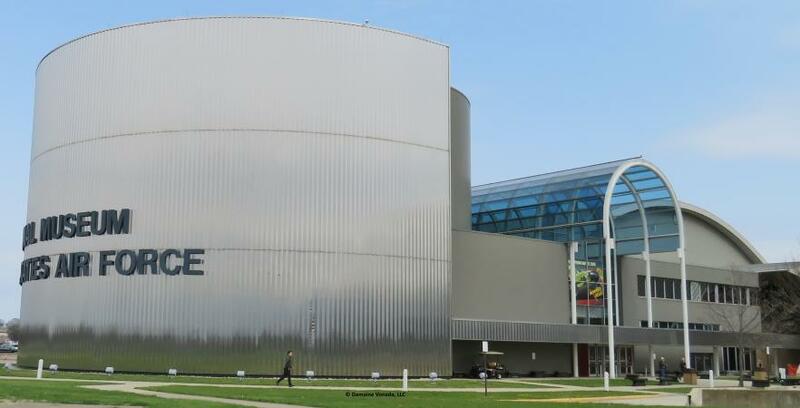 Located at Wright-Patterson Air Force Base near Dayton (it was the hometown of airplane inventors, Orville and Wilbur Wright), the Museum itself is also a national treasure that attracts one million visitors every year. It’s the world’s oldest and largest military aviation museum and boasts an unrivaled collection of 360+ aerospace vehicles that include the Wrights’ pioneering 1909 Military Flyer; the B-29 Bockscar that dropped the atomic bomb on Nagasaki; and the SAM26000 (a.k.a. Air Force One) that carried the body of assassinated President John F. Kennedy back to Washington in 1963. 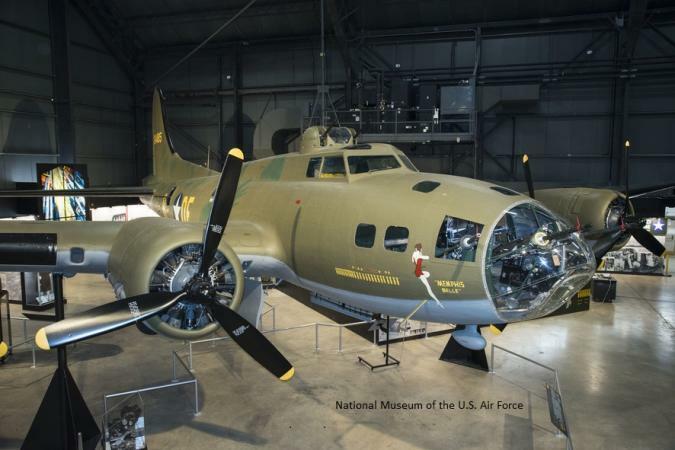 To return Memphis Belle to its World War II appearance, the Air Force Museum’s team of restoration experts spent more than a decade fabricating parts and authenticating everything from the plane’s paint colors to the navigator’s table. Complete with its signature pin-up girl nose art, Memphis Belle is now the centerpiece of the Museum’s new World War II gallery exhibit about the Army Air Force’s strategic bombing campaign in Europe. At this one-of-a-kind display, you’ll see priceless artifacts like uniforms that belonged to Memphis Belle’s intrepid crew members (two of every three men who flew on the England-based B-17s perished during World War II), and you’ll learn about the war bonds blitz during the summer of 1943 that made Memphis Belle a household name. The following year, director William Wyler, an Air Corps volunteer who actually flew on Memphis Belle, enhanced its fame by making the documentary about its critical missions, The Memphis Belle: A Story of a Flying Fortress. More recently, the 1990 movie Memphis Belle dramatized its 25th mission, while Wyler’s experiences on the plane were chronicled in the both the 2014 book Five Came Back: A Story of Hollywood and the Second World War and its 2017 Netflix spin-off. 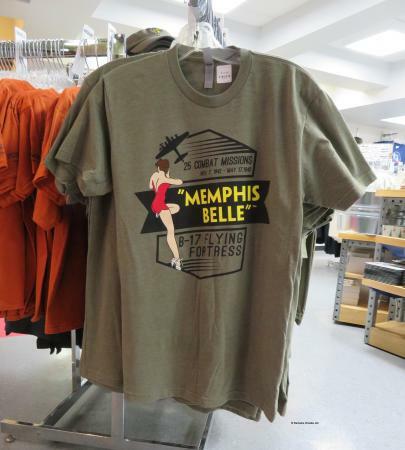 Tip: after viewing Memphis Belle be sure to stop at the Air Force Museum’s store. It’s chockful of books, videos, model planes, and more pertaining to aviation, and of course, also carries plenty of Memphis Belle souvenirs. My favorite items are the T-shirts that show off the long-legged lady depicted on the bomber’s nose. What better way to salute an iconic American aircraft and its final destination right here in Ohio at the incomparable Air Force Museum?